[…] it appears to just be hipster talk, along with the trend of the day for nonsensical rhyming titles. The “sherbert” in question is said to be slang for the trumpet, or the musical part played by the trumpet. The lyrics are pretty much just the title being repeated. The song was written by composer and arranger Ben Homer, who also wrote such famous titles as “Sentimental Journey” and “Bizet Has His Day”. 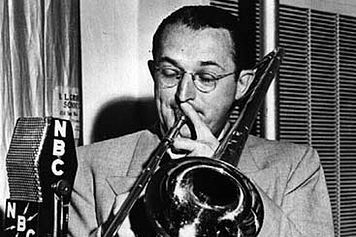 The song was recorded several times in 1939, but the version by Tommy Dorsey is my favorite one. Shoot The Sherbert To Me Herbert is great for Lindy Hop and for Balboa, where slower tempos are needed (classes, workshops). Do you like this version? Share your thoughts in the comment section below!